If you forgot that the Monte-Carlo Masters began on Sunday, you missed a trio of big names booking early spots in the second round. 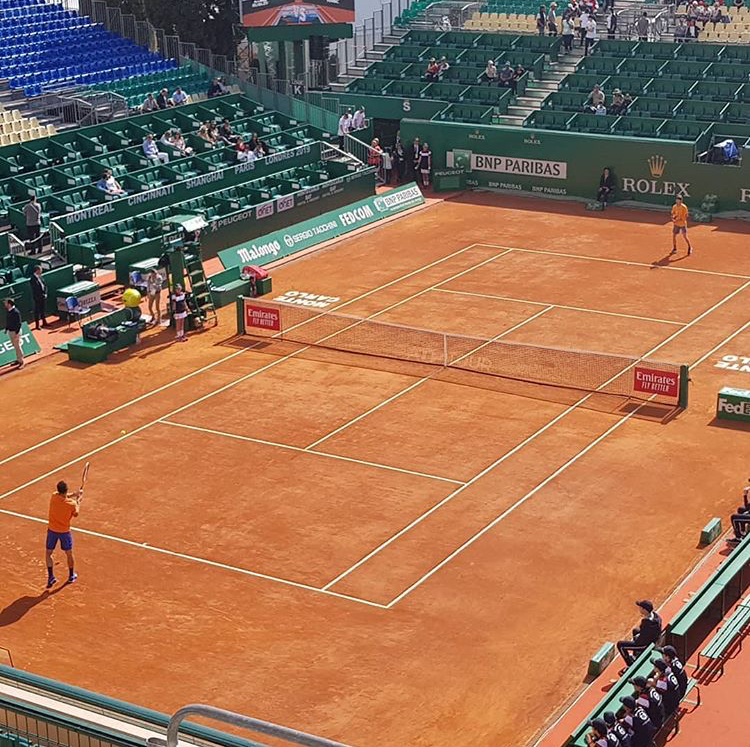 Stan Wawrinka, Borna Coric, and Grigor Dimitrov all picked up victories as the European portion of the 2019 clay-court swing got underway. Wawrinka and Lucas Pouille, who both found themselves unseeded with rankings just outside the top 30, had to go head-to-head right off the bat and their showdown went the way of the Swiss via a 7-5, 6-3 decision. During the one hour and 15 minutes of play, Wawrinka capitalized on horrendous 40 percent serving by his opponent to break three times. The 34-year-old served poorly, himself, (47 percent) but he won 86 percent of his first-serve points. The three-time Grand Slam champion awaits either Marco Cecchinato or Damir Dzumhur in the last 32. Dimitrov has endured a rough 2019 campaign, but he opened with a solid 7-5, 6-4 win over Matteo Berrettini. It lasted one hour and 53 minutes despite requiring only two sets to be decided. The Bulgarian got a look at 18 break-point chances, of which he converted four. In the most blockbuster first-round matchup of the entire tournament, Coric scraped past rising star Hubert Hurkacz 6-4, 5-7, 7-5 after two hours and 52 minutes. Guido Pella also advanced, beating Rio de Janeiro champion Laslo Djere 6-7(2), 6-2, 6-4. Pella also captured the first ATP title of his career during the Golden Swing, triumphing in Sao Paulo–where he beat none other than Djere in the semifinals. Ricky contributes to 10sballs.com and also maintains his own tennis website, The Grandstand. You can follow him on twitter at @Dimonator.